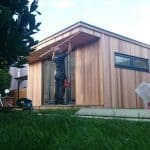 More and more people are starting to work from home. 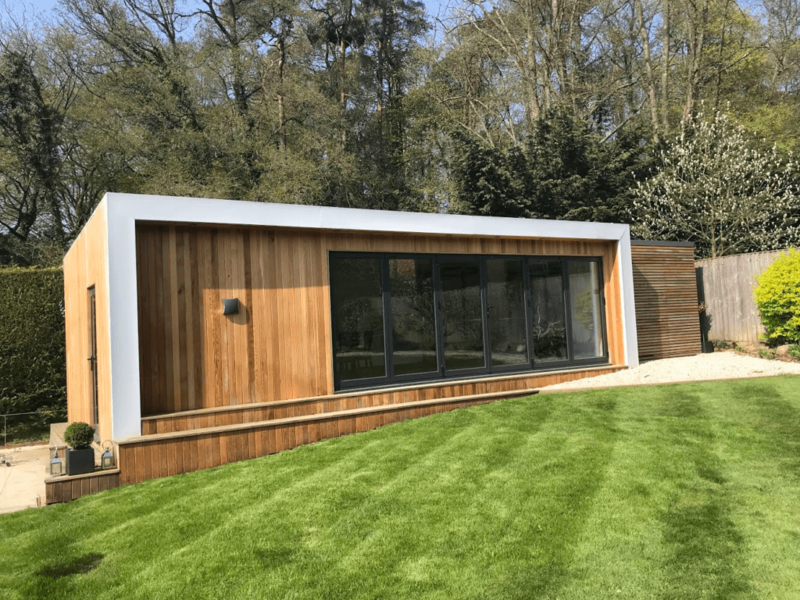 There are plenty of pros to home working – less time spent commuting and more time for spending with the family, for instance – but not everyone has the space to set up an office at home. 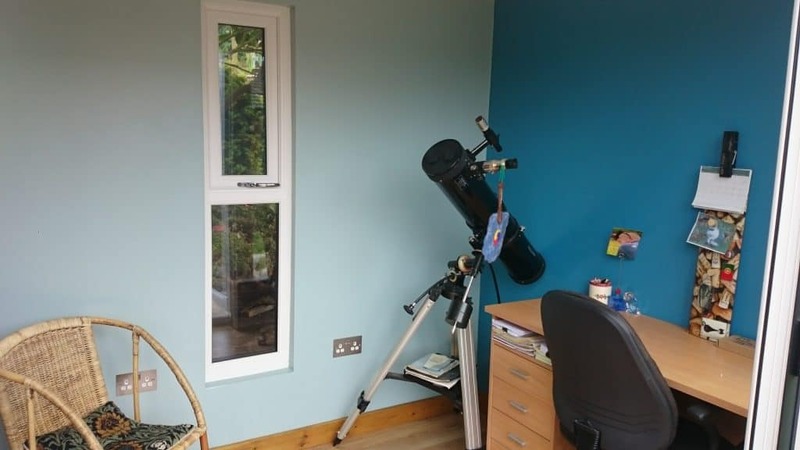 So what do you do when you have the option to work from home but no space? 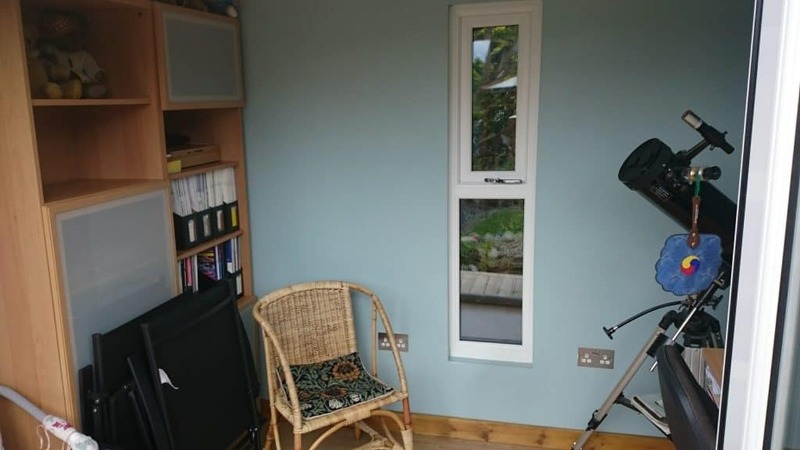 Realistically, sitting on the sofa isn’t going to cut it. 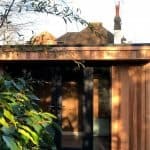 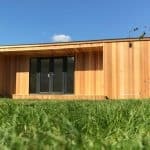 You could move house, or perhaps invest in a house extension, but a garden office could be a much cheaper, easier and quicker option. 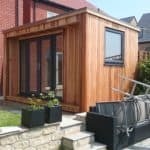 Even if your garden doesn’t have a great deal of room to spare, don’t write off the idea of a small garden office. 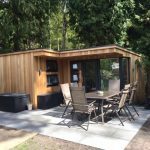 Tony from Rotherham contacted Modern Garden Buildings to build an office for his patio area, and we were only too happy to help him! 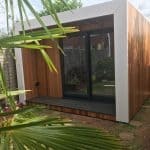 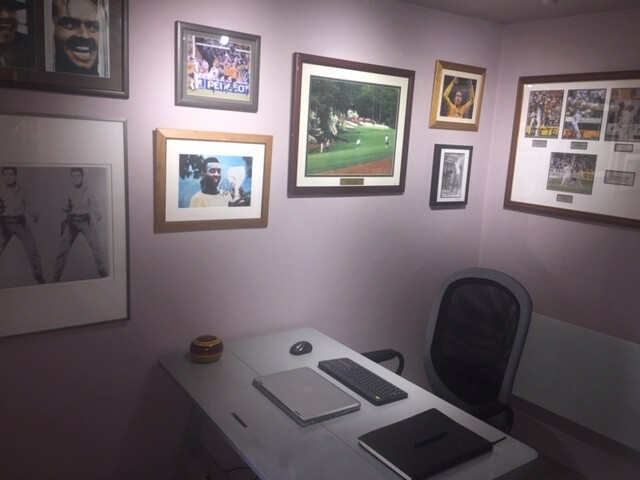 Tony’s small garden office was based on our concave room. 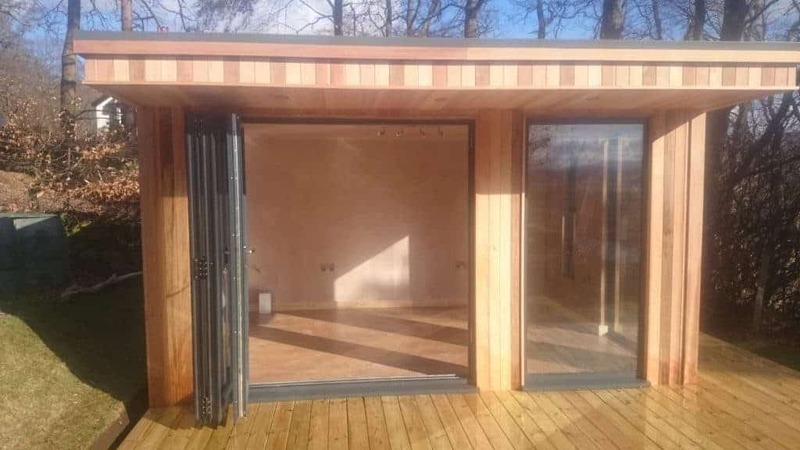 It measured 4m x 2m and the concave canopy/enclosed section and decking area to the front measured 0.3m instead of the usual 1m. 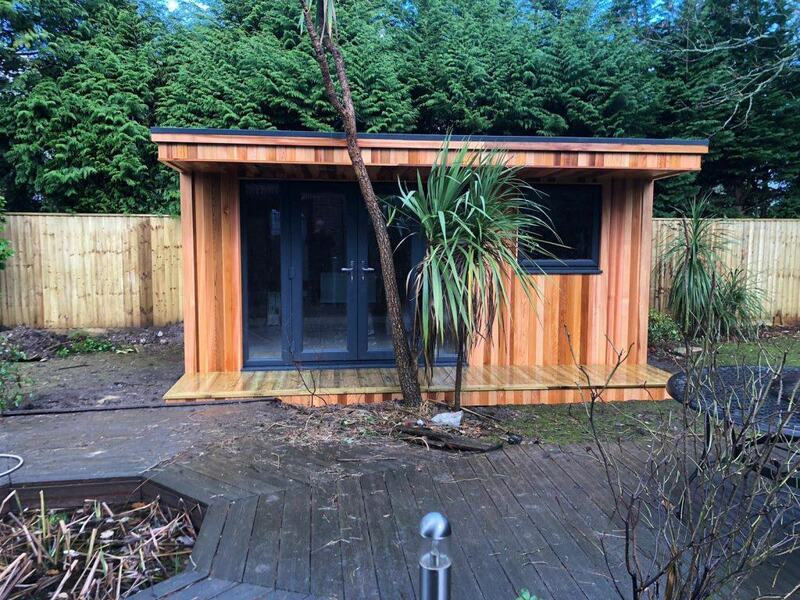 Tony wanted a building with a sleek look to his new garden building. 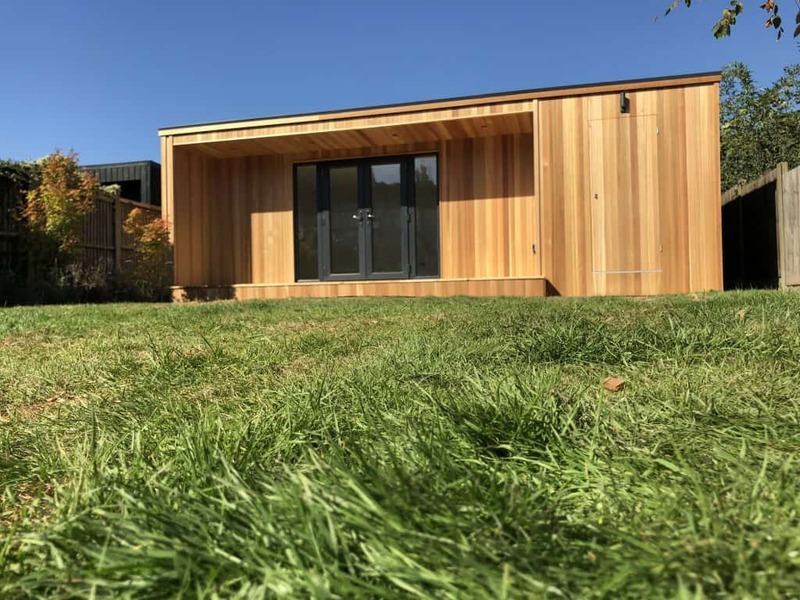 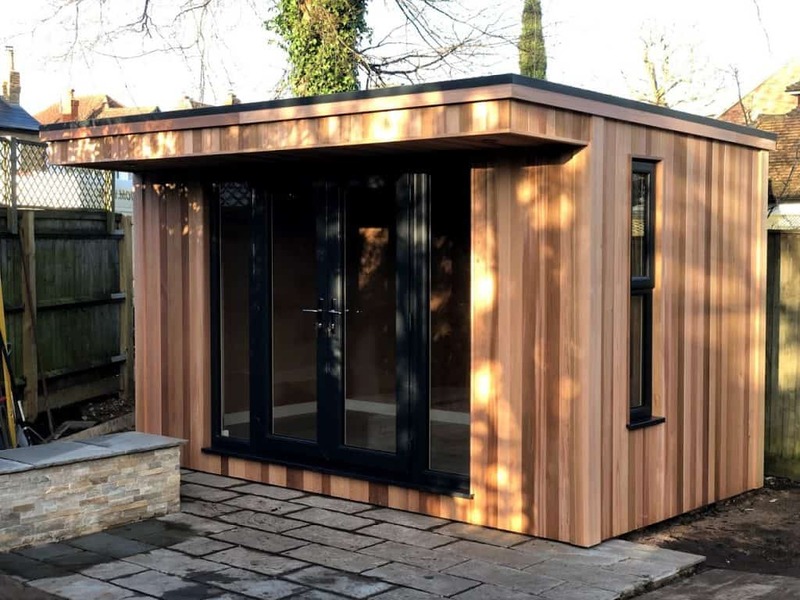 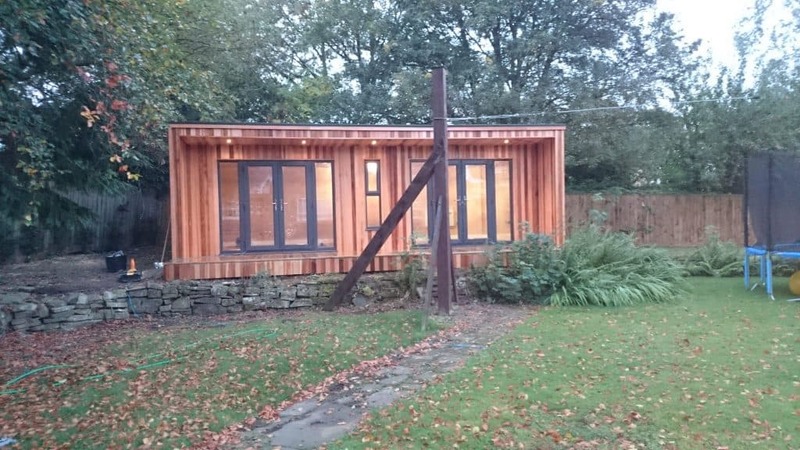 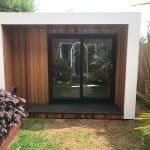 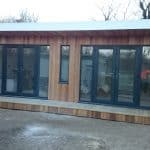 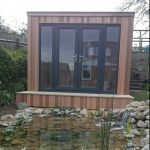 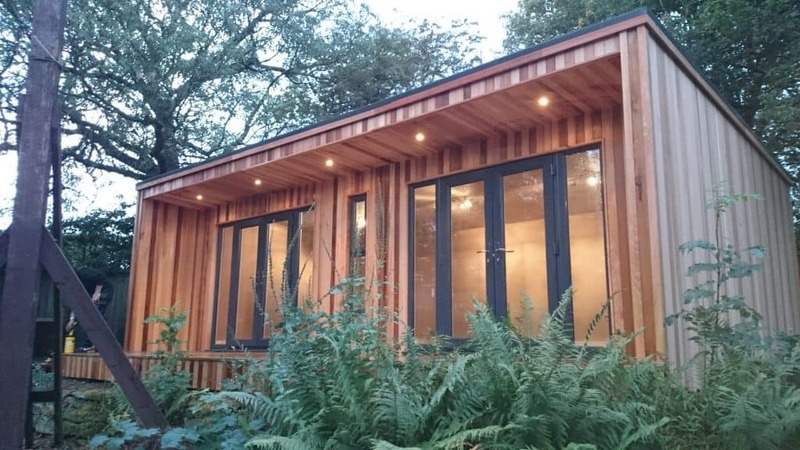 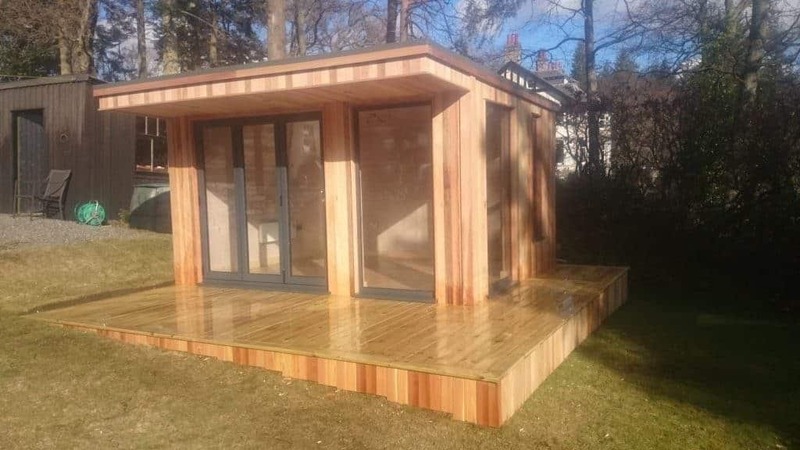 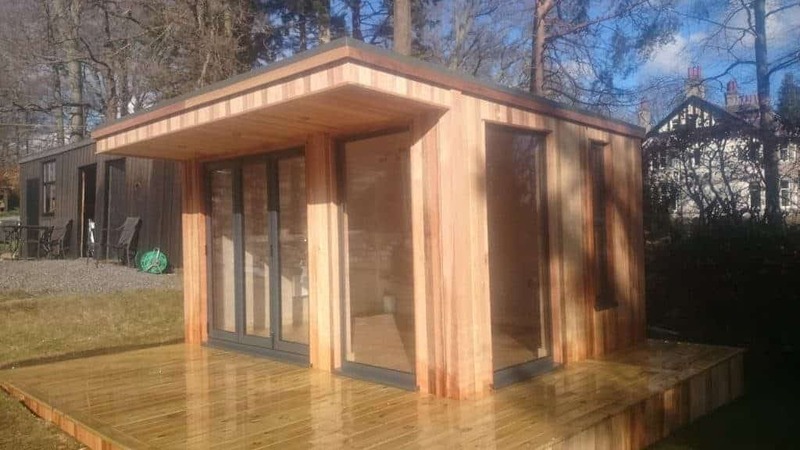 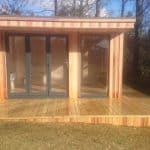 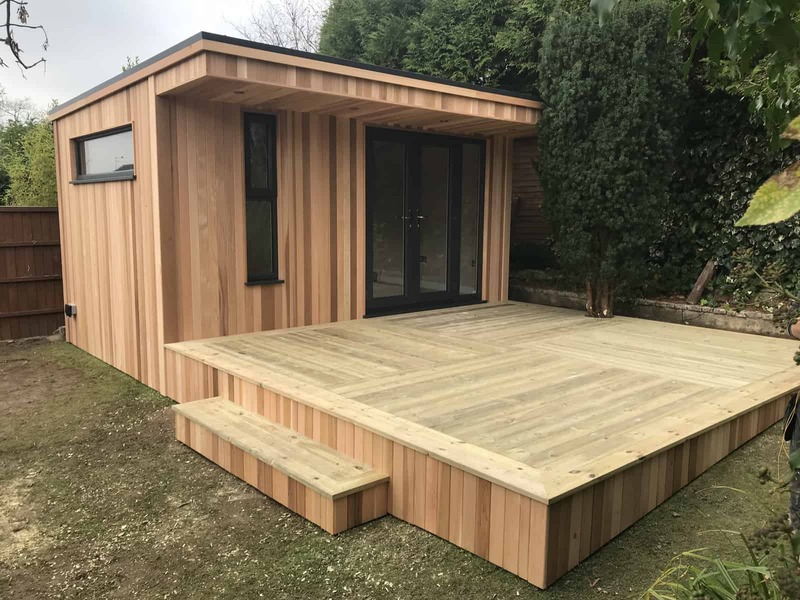 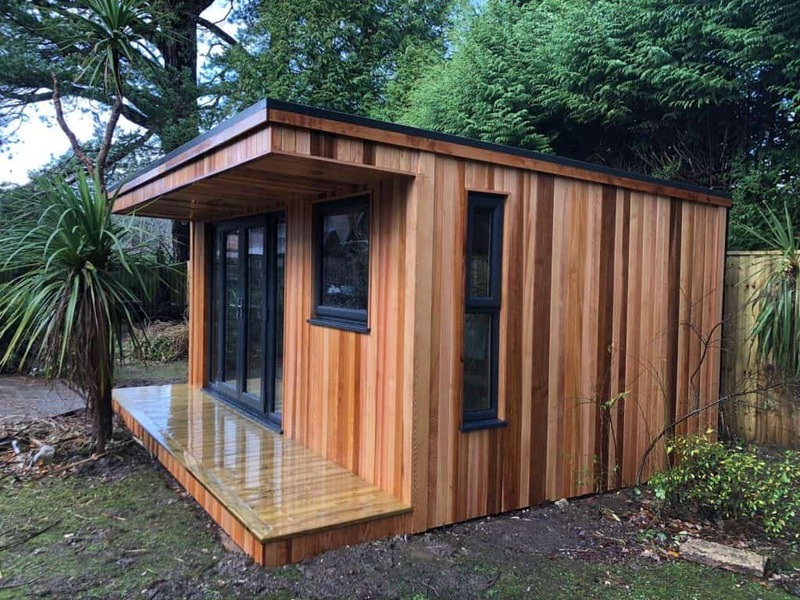 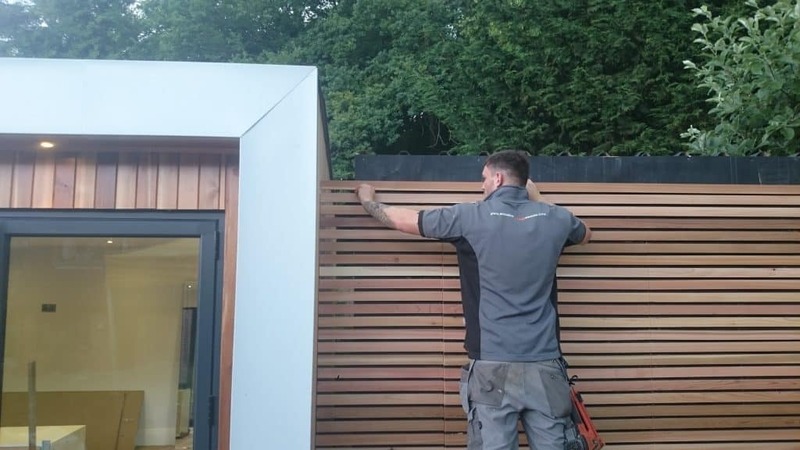 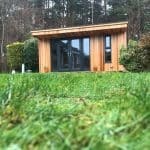 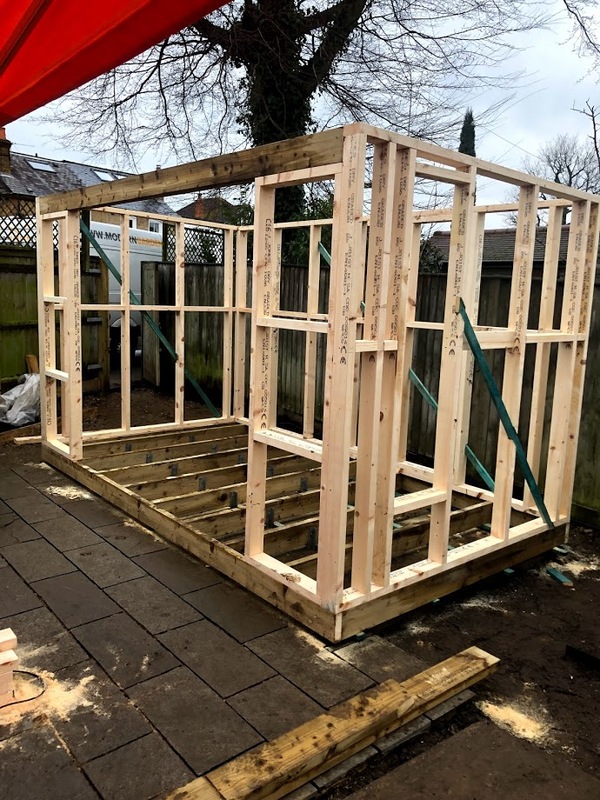 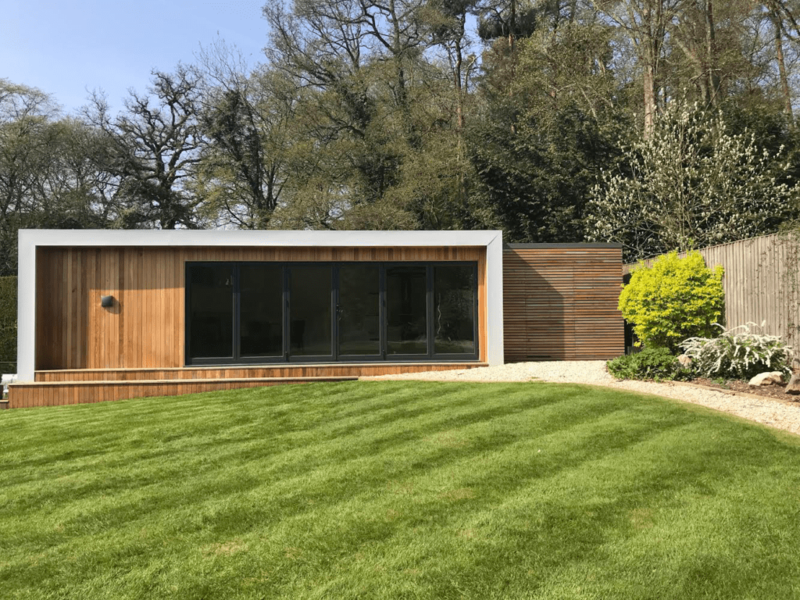 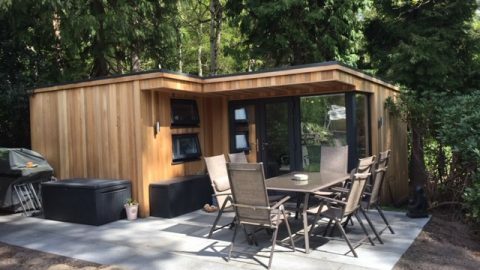 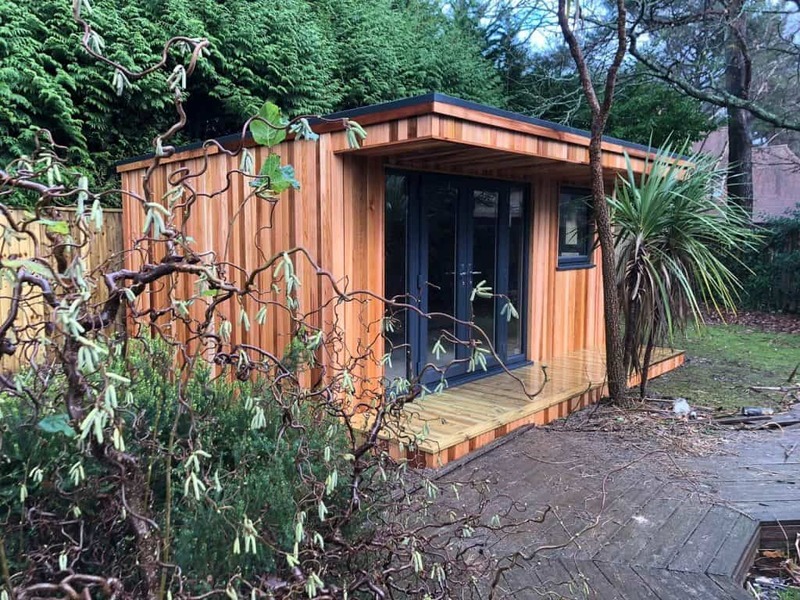 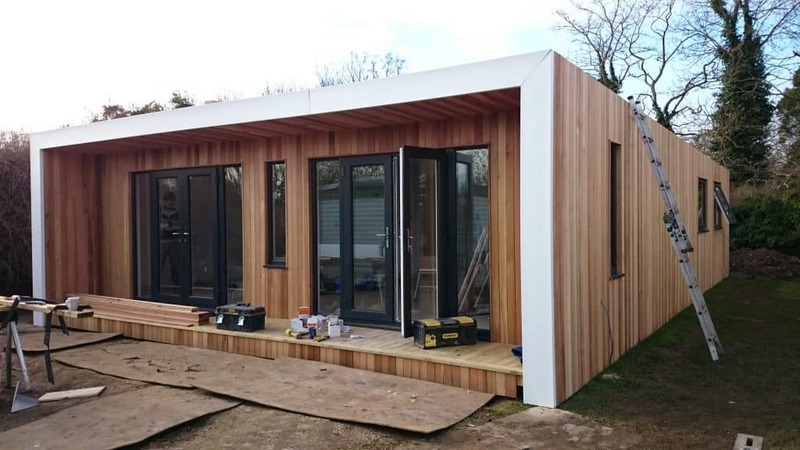 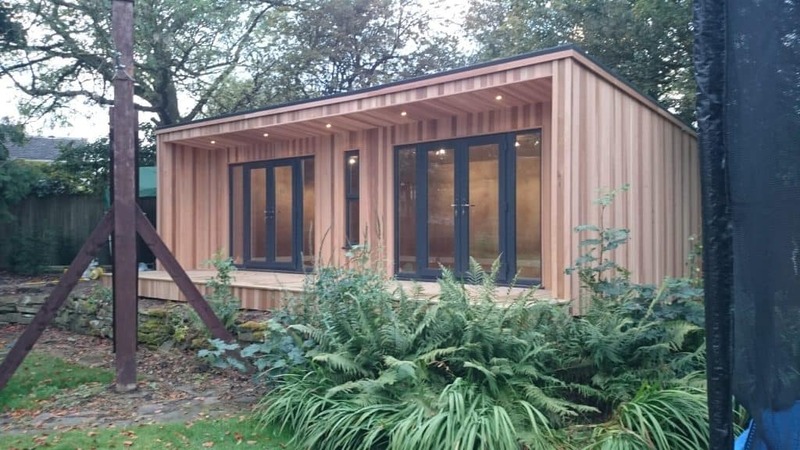 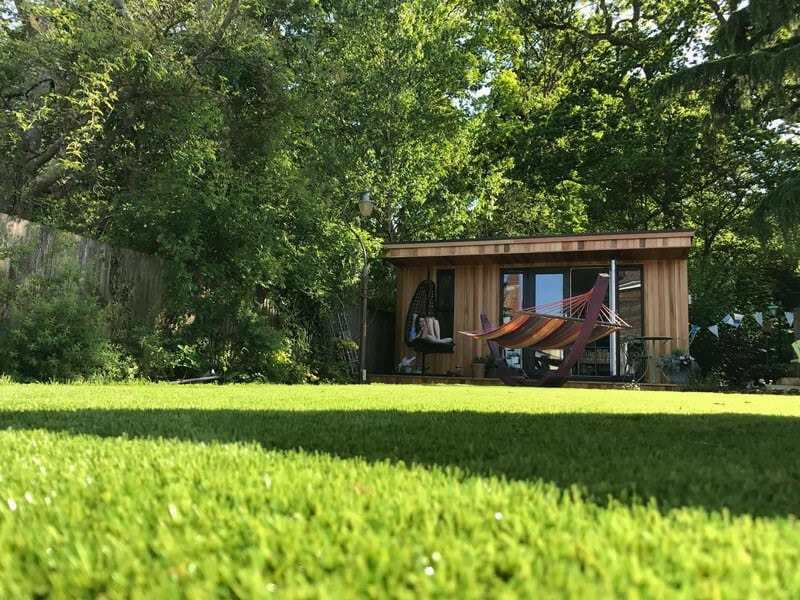 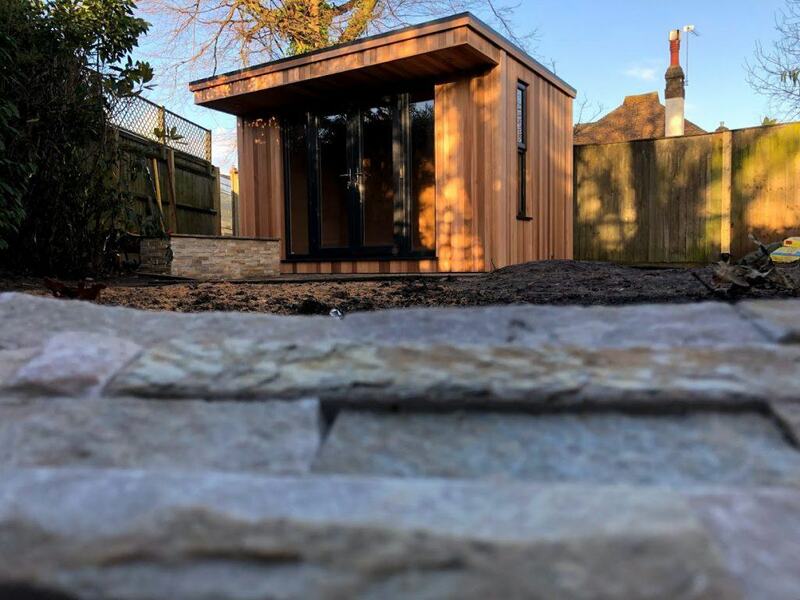 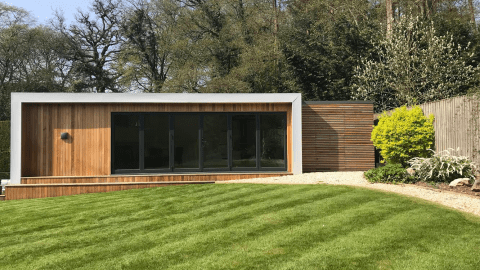 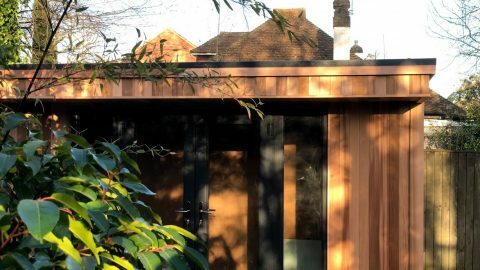 The dimensions of the garden office needed to be smaller than many we had previously built due to the fact it was to be erected on an existing patio which limited the proportions. 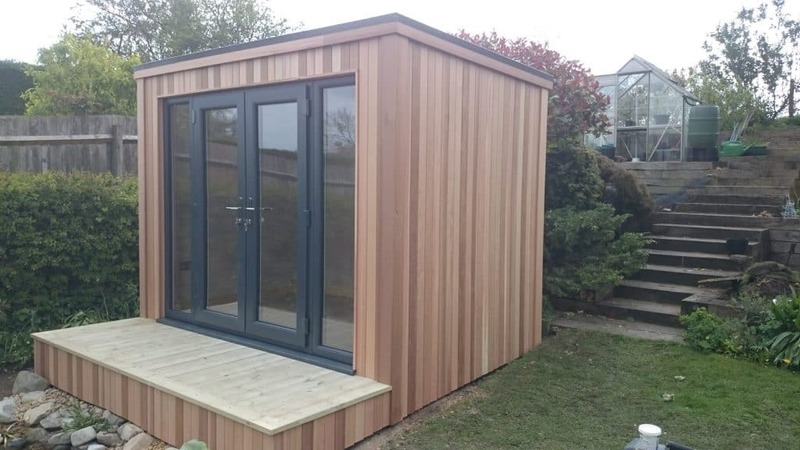 However despite its limited dimensions, the small garden office still needed to be comfortable to work in without feeling cramped. 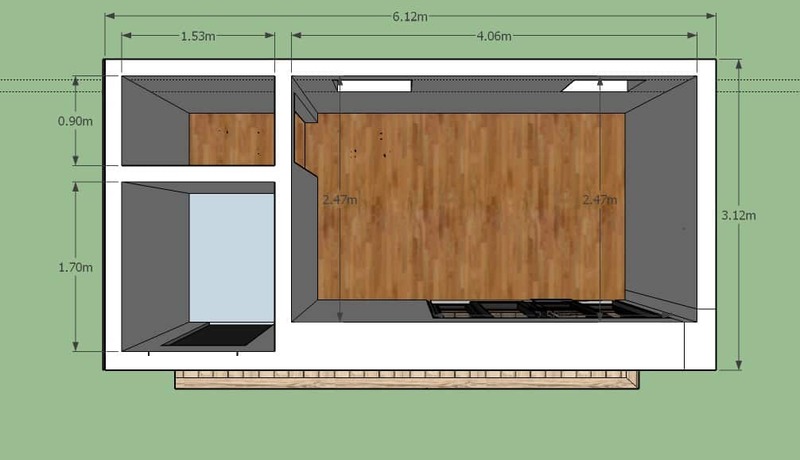 Our suggestion to Tony was a concave room measuring 4m in length and 2m wide. 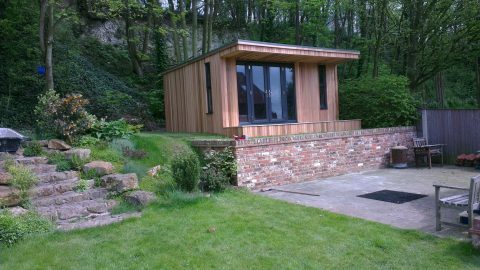 The small garden office was placed sideways along the widest part of his patio, facing the path leading from the house into the garden. 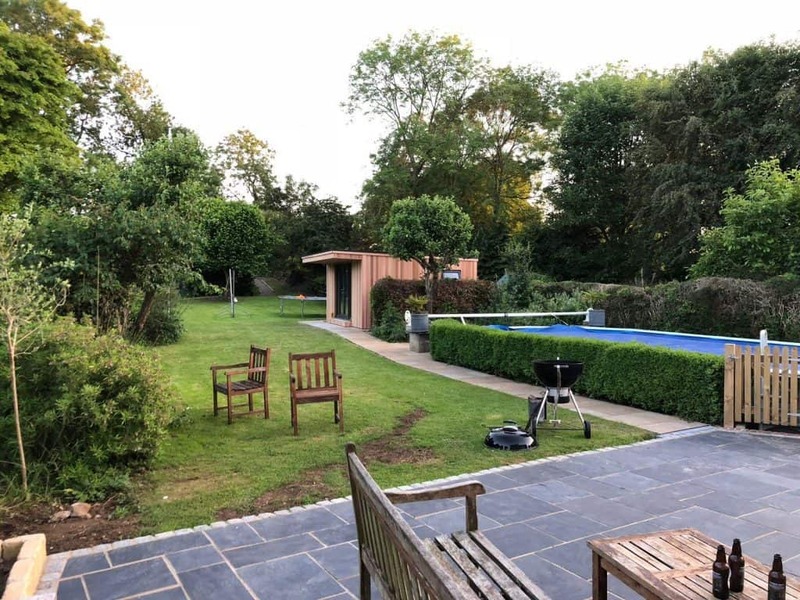 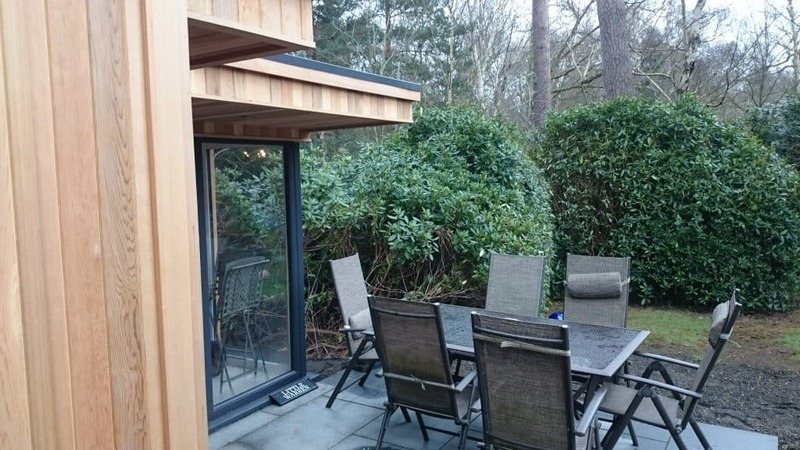 Because of its limited proportions, the concave section (downlit canopy, enclosed sides, and decking area) measured 0.3m rather than the the standard 1m, which still allowed for some seclusion and the modern look he wanted, whilst not taking too much space away from the inside. 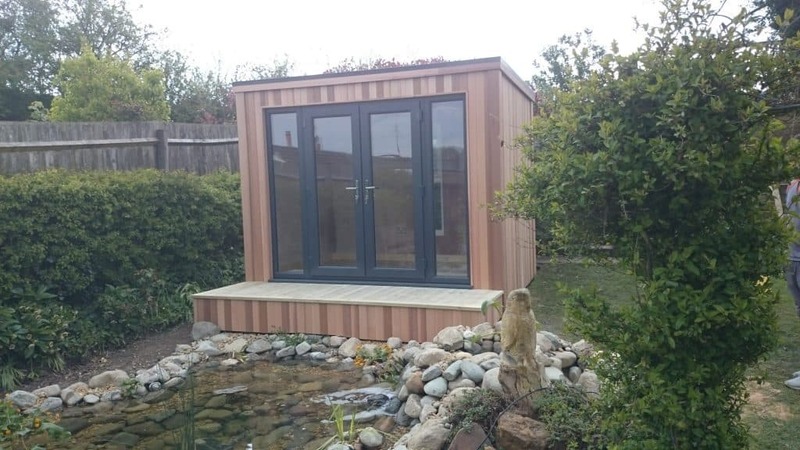 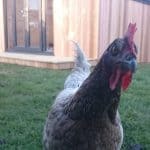 Originally, Tony decided to go with another supplier; however for reasons unknown came back to us some time later and we were only too happy to build his small concave garden office. 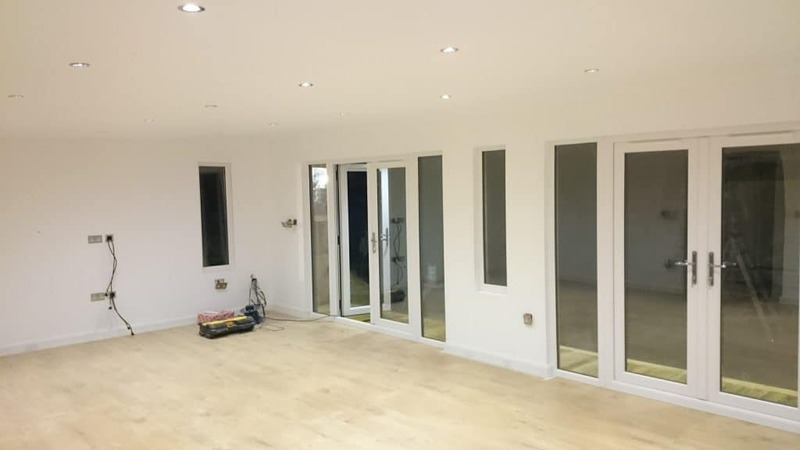 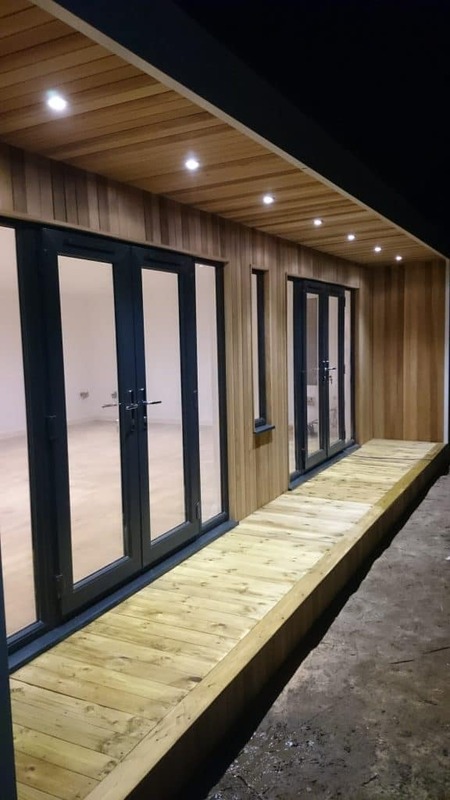 With smaller buildings there is always the possibility that it will feel cramped, however with large, sidelit French doors aligned to the left of the building to meet the path, and a large window to the side, the office was designed to be as light and airy as possible. 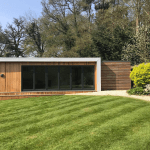 Are you looking to get fitter but can’t get to the gym? 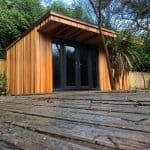 Do you hate the idea of working out in public or just don’t want to throw money away on monthly gym fees? 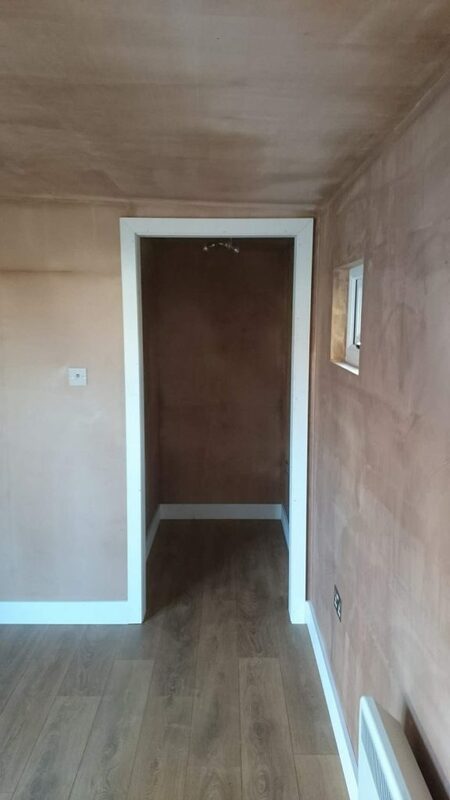 Can’t quite build up the momentum to leave the house? 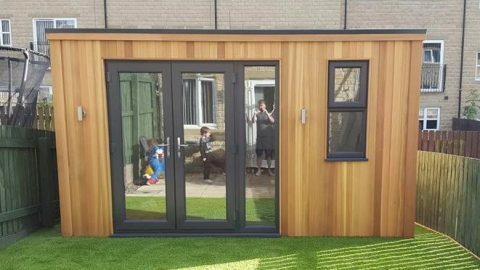 A fully equipped garden gym within metres of your house could be the answer! 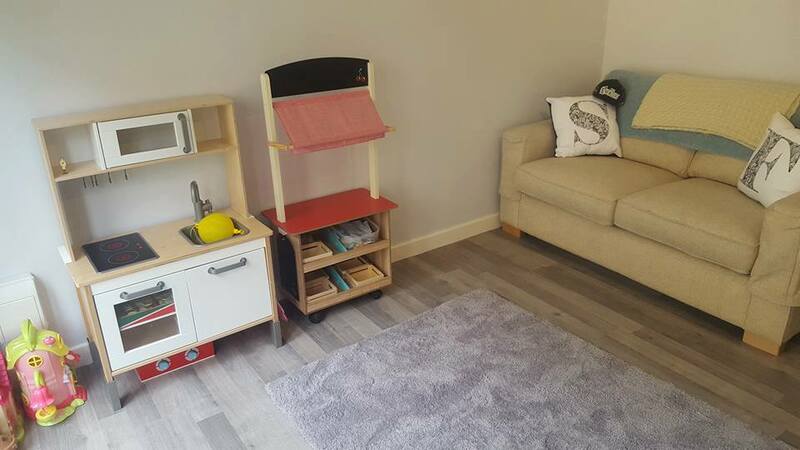 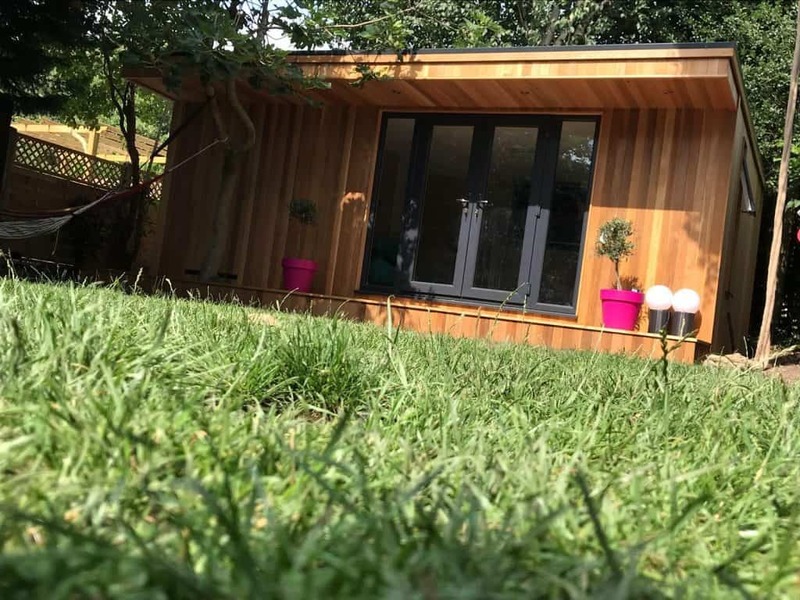 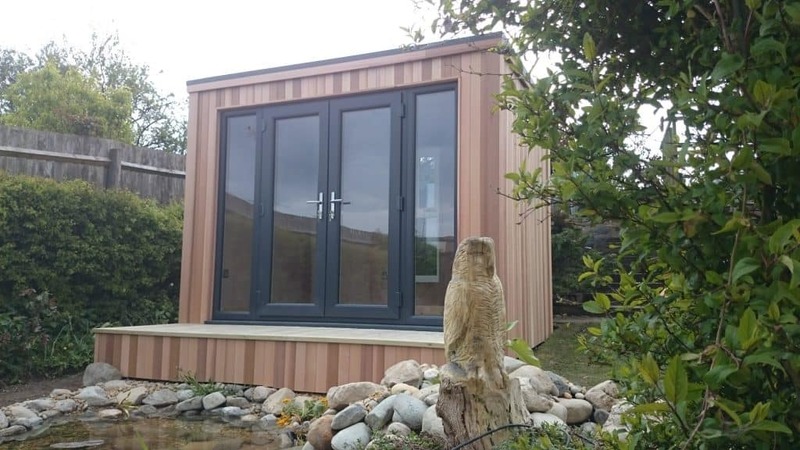 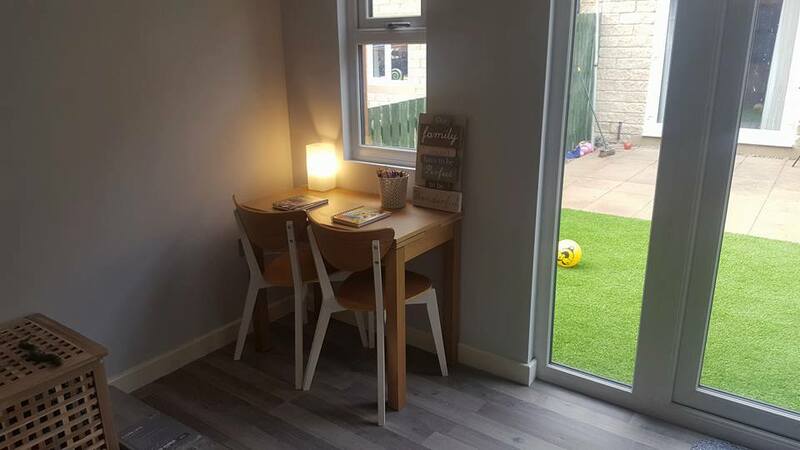 Hilary from Middlesborough decided that a brand new, purpose built garden gym was just what her family needed, and so she contacted Modern Garden Rooms for a quote. 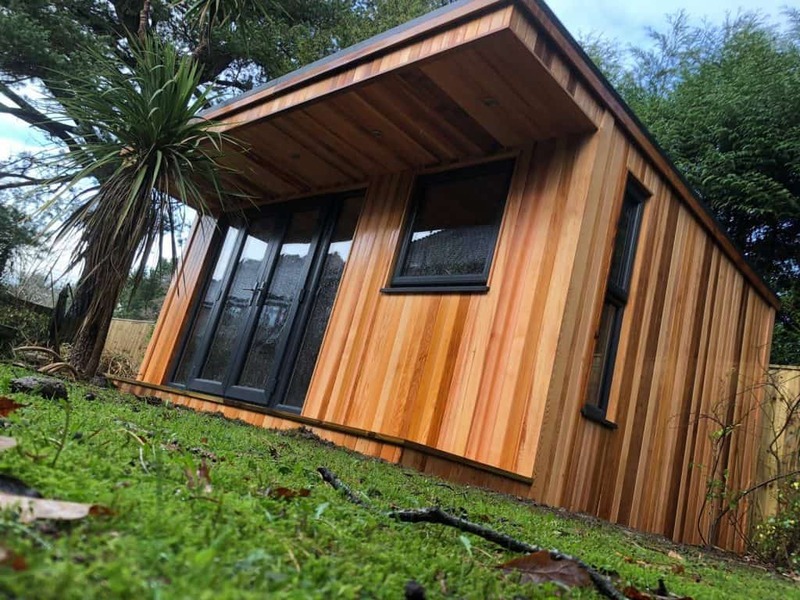 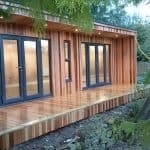 The garden gym building was an 8m x 4m concave room, clad in cedar, with a height of 2.7m instead of the standard 2.5m. 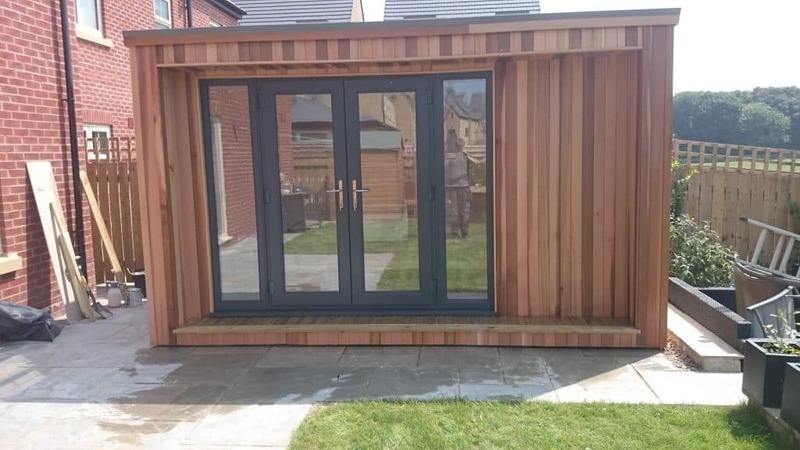 Despite the extra height, this build was still within permitted development, as the gym was built at least 2m from boundaries. 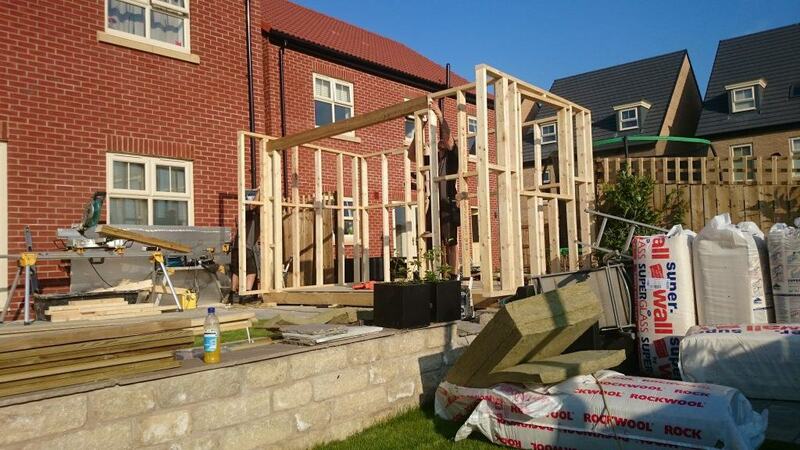 This meant it did not require planning permission. 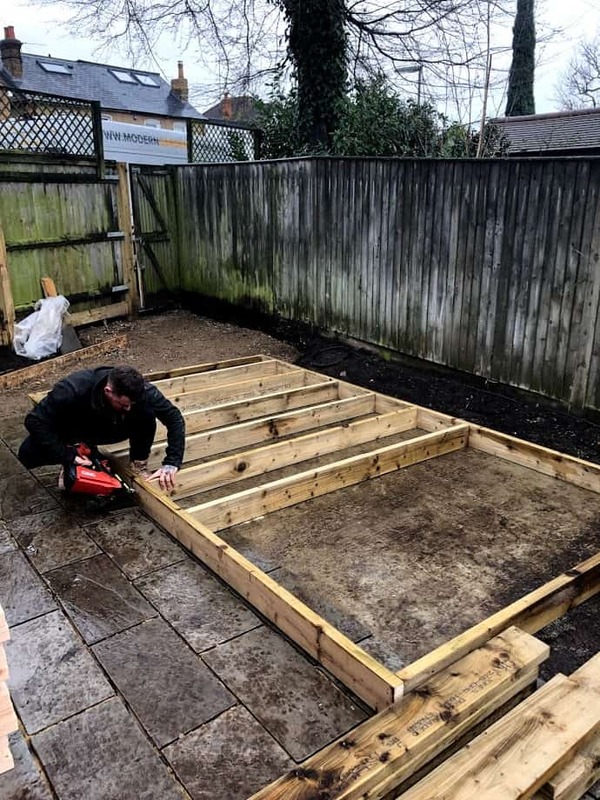 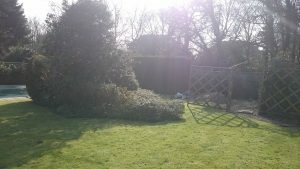 Hilary’s garden gym needed to be a fairly large space to fill the secluded area at the bottom of her garden. 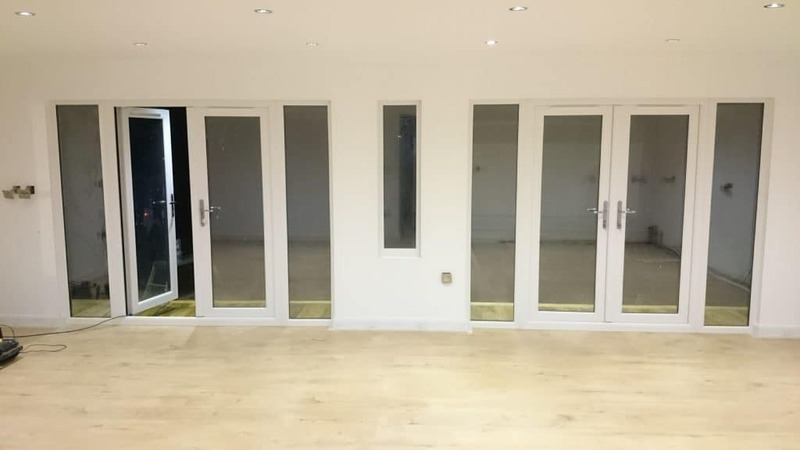 The flooring of engineered oak was to be supplied by Hilary’s husband, and they wanted a wall of mirrored glass along one end. 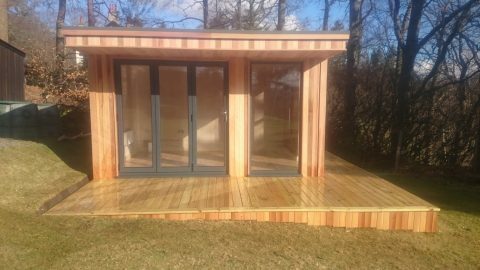 To provide extra privacy and seclusion whilst working out, we suggested a garden gym building based on our popular concave garden room. 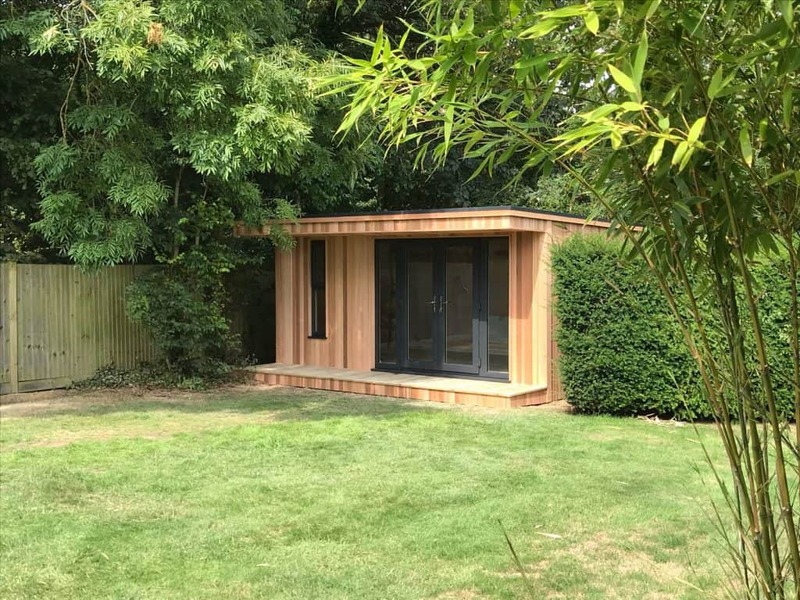 This striking timber-clad garden room comes with a 1m canopy, as well as sides that extend past the entrance to the building, enclosing it. 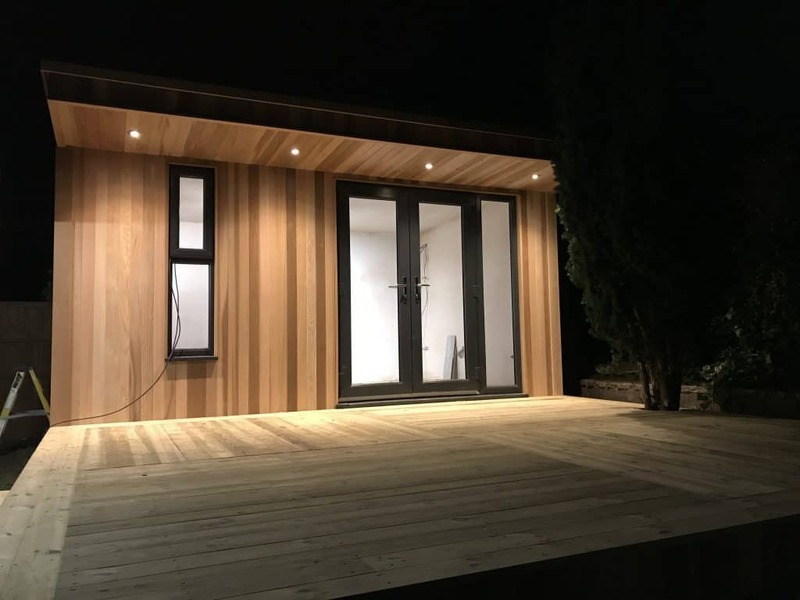 The subtle downlighting in the canopy makes this type of building perfect for use in the evenings as well as during the day. 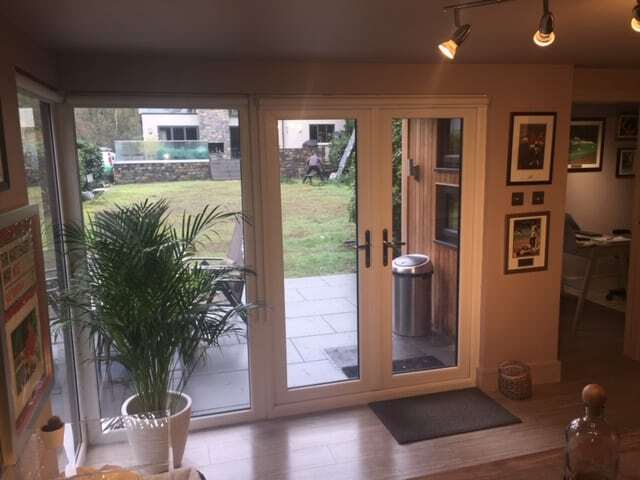 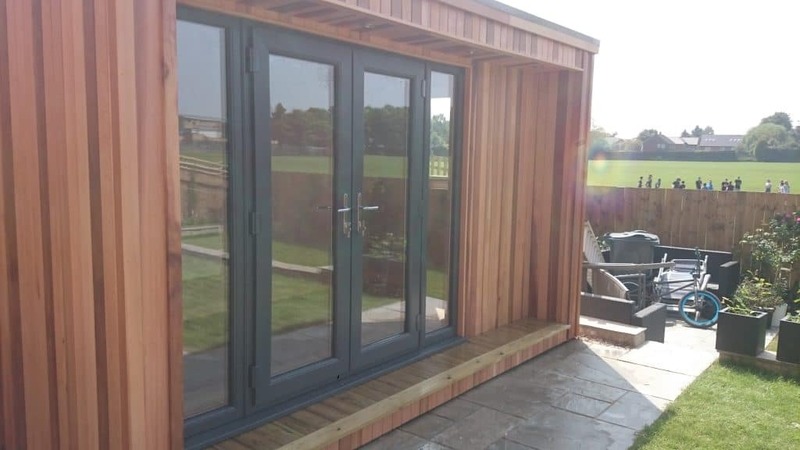 With two large French doors opening out onto a 2m decking area to the front of the garden gym, during the day the workout can be opened up to the outdoors in good weather. 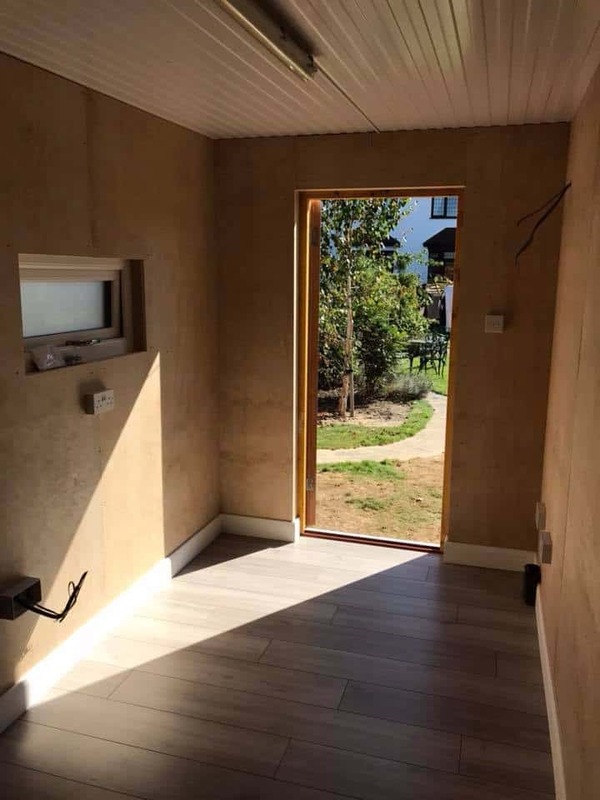 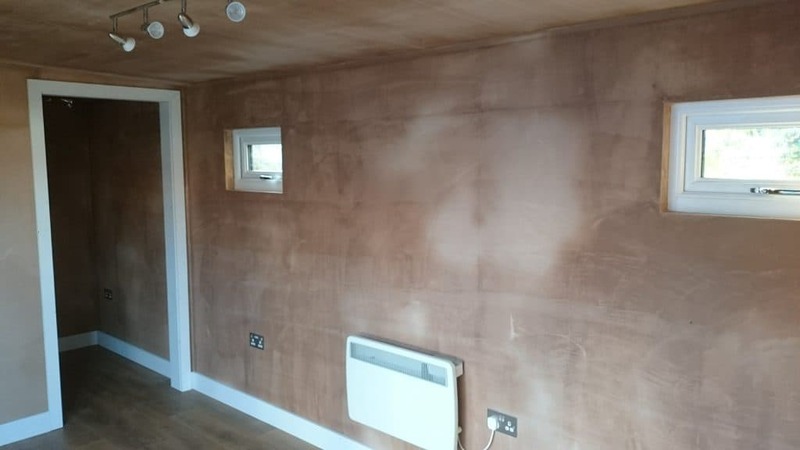 The finished building was plastered and skimmed, with a mirror wall to one end, ready to be decorated and put straight to use! 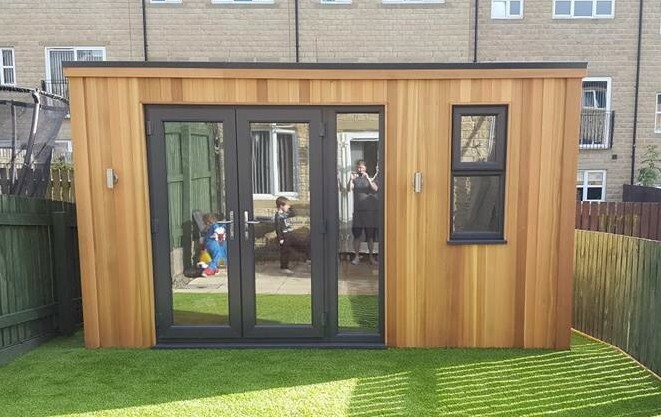 We think that her new garden gym looks stunning at the end of Hilary’s large garden, and she’ll definitely never have an excuse not to hit the gym again! 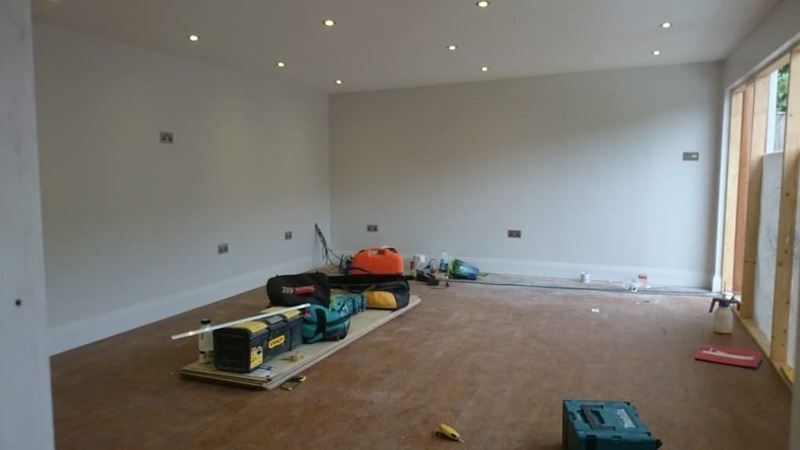 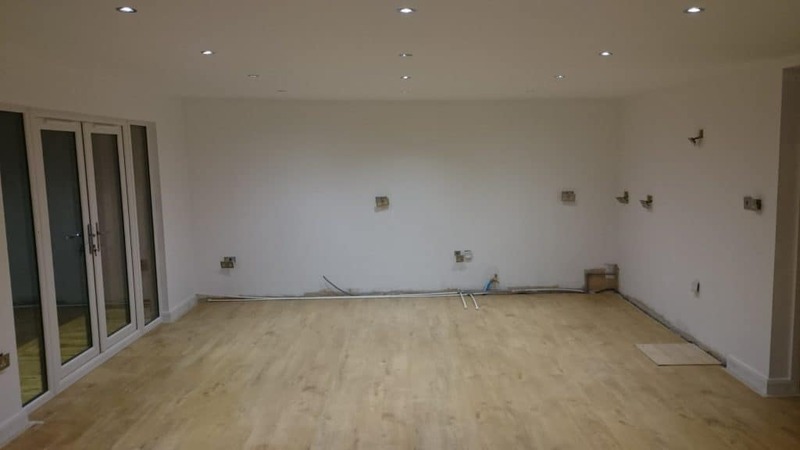 The inside of this room has a laminate flooring and freshly painted walls ready for decoration once dry. 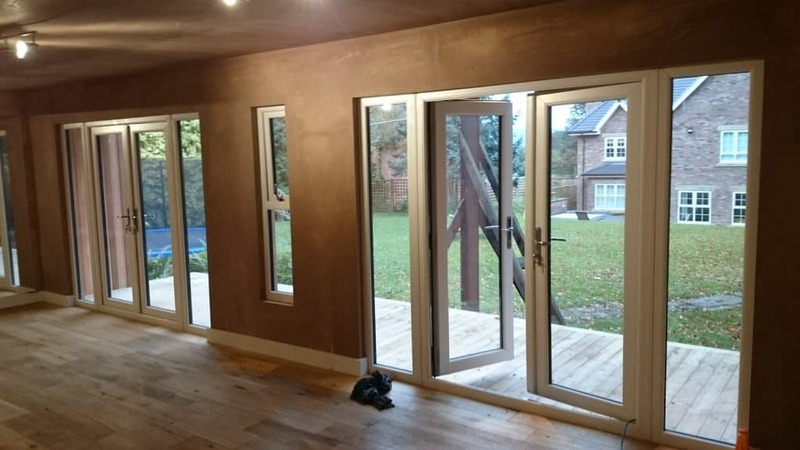 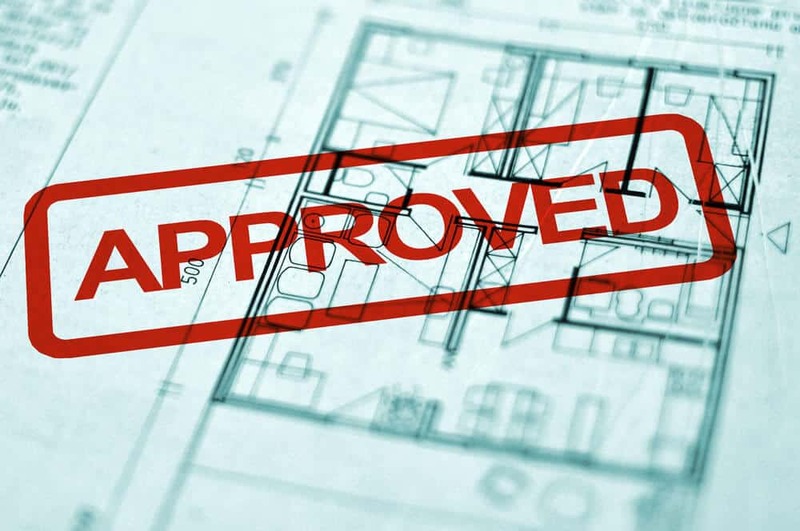 We also use two types of insulation in a multi layer system to ensure that this room can be enjoyed year round. 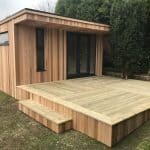 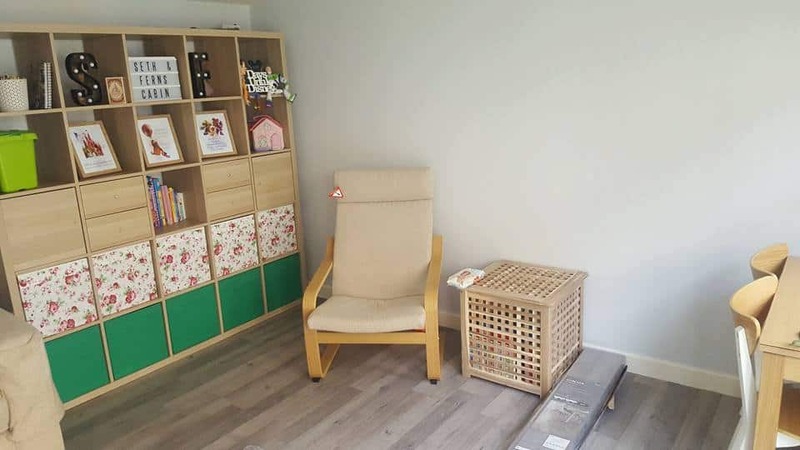 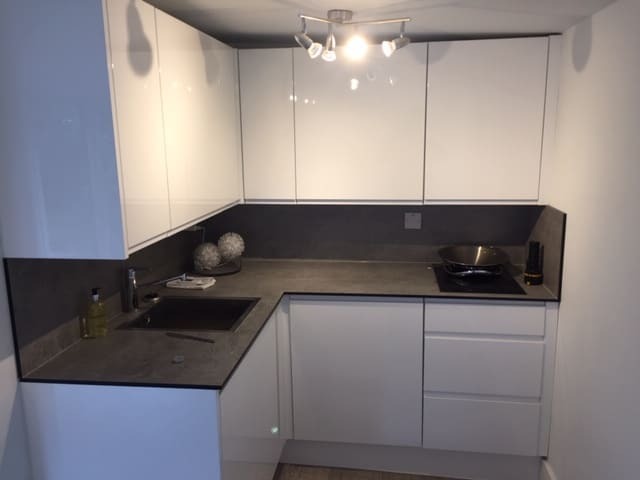 This is what sets our rooms apart from cheaper alternatives such as log cabins which can be cold during the winter months even with a heater inside. 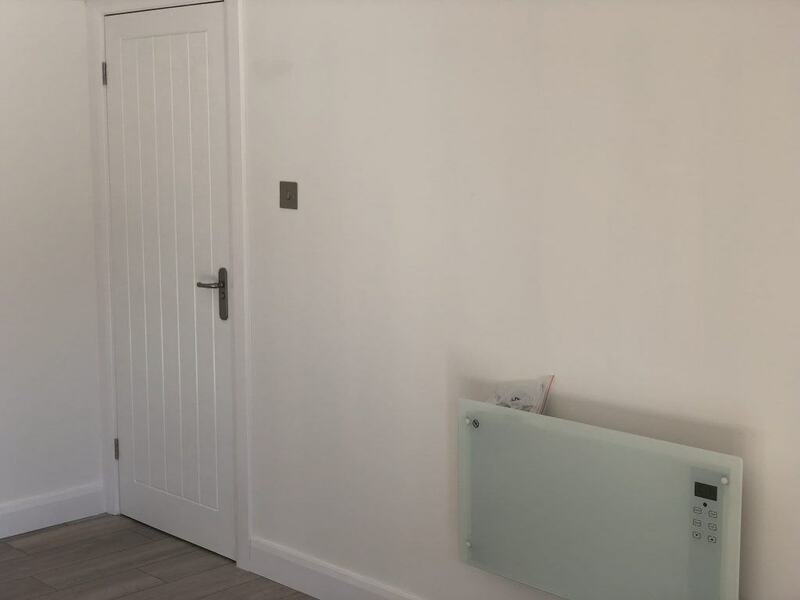 Our rooms are so well insulated that the thermostatic heater is only used occasionally to top the room up with heat. 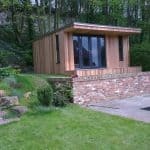 It is estimated that one of our garden rooms costs as little as £30 per year to heat. 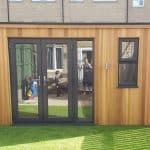 large garden room 8m x 5m. 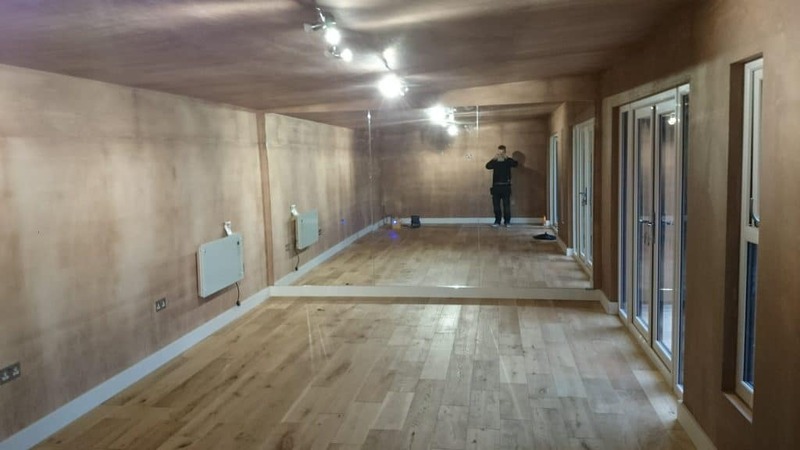 Paul had been looking for a building to use as a games room for his teenage children. 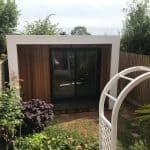 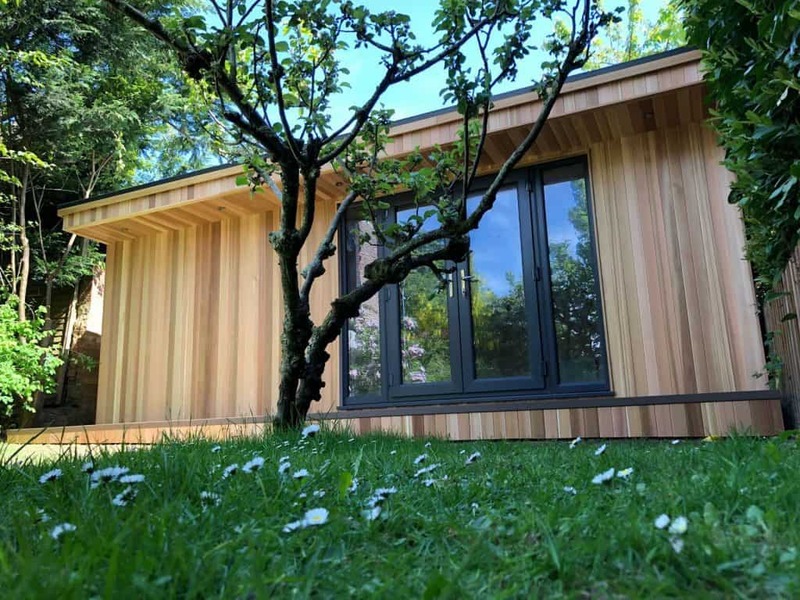 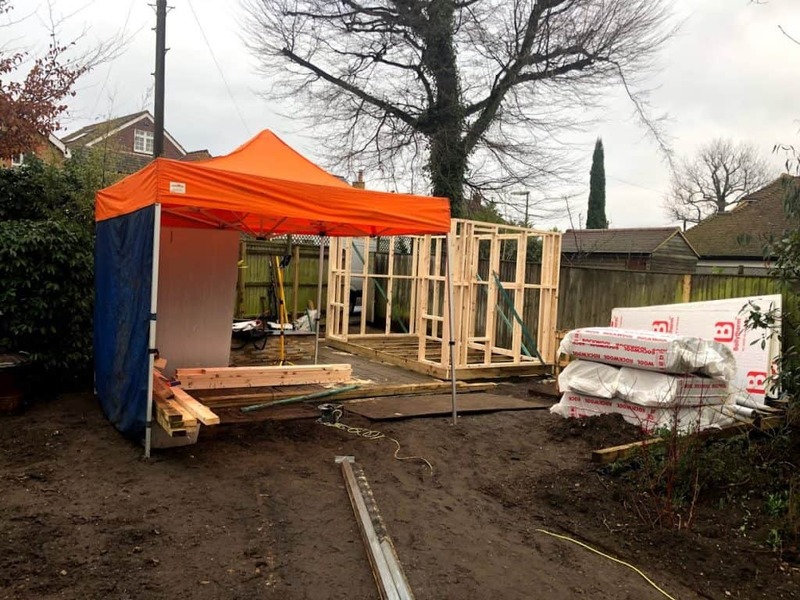 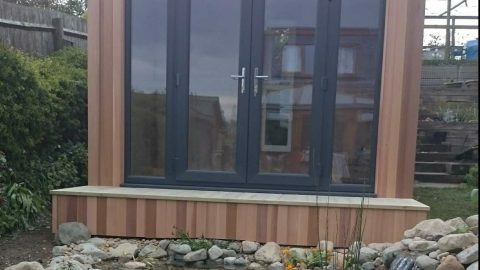 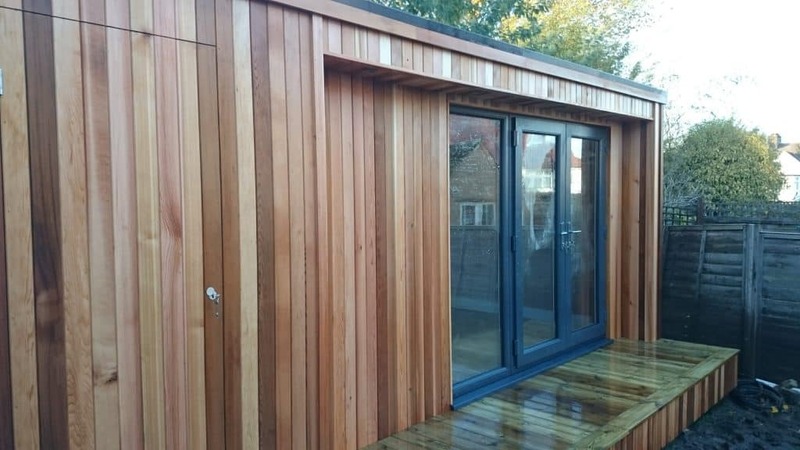 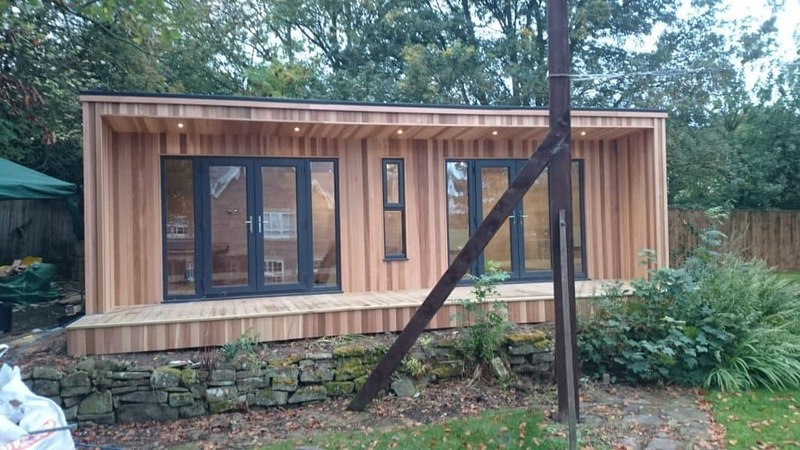 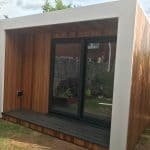 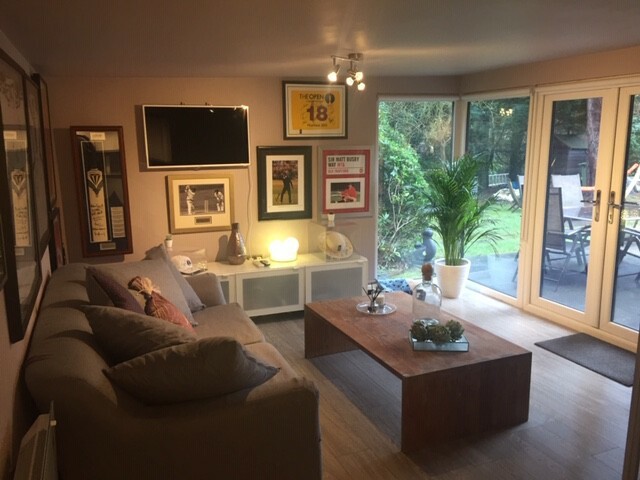 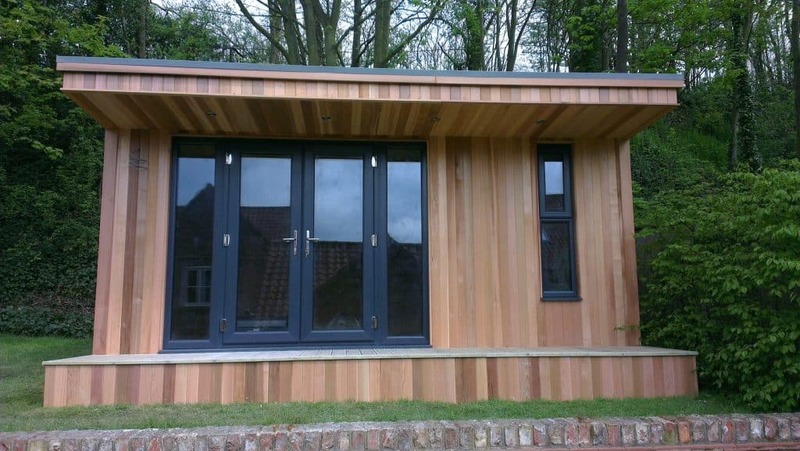 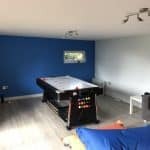 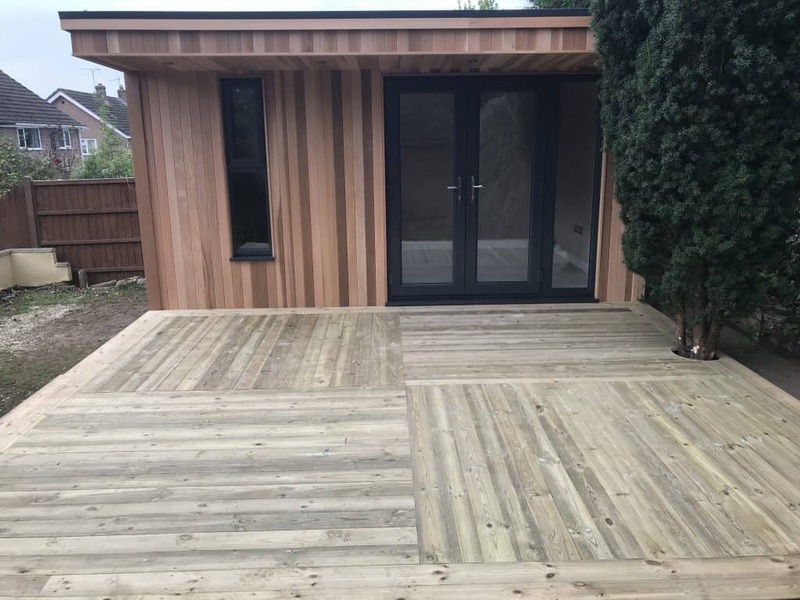 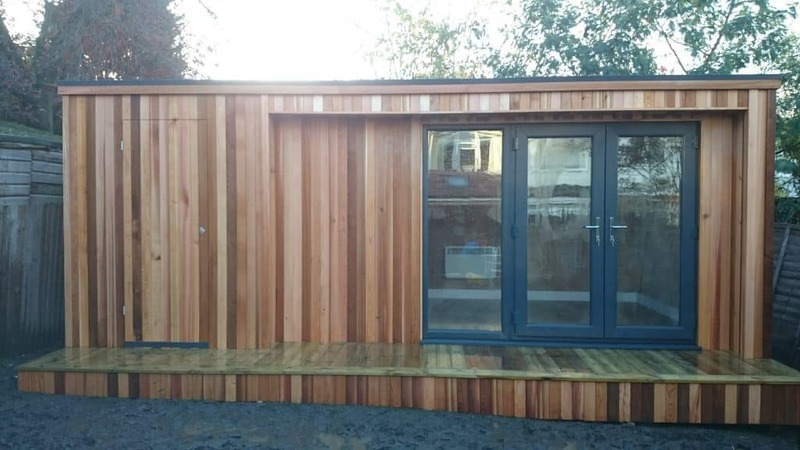 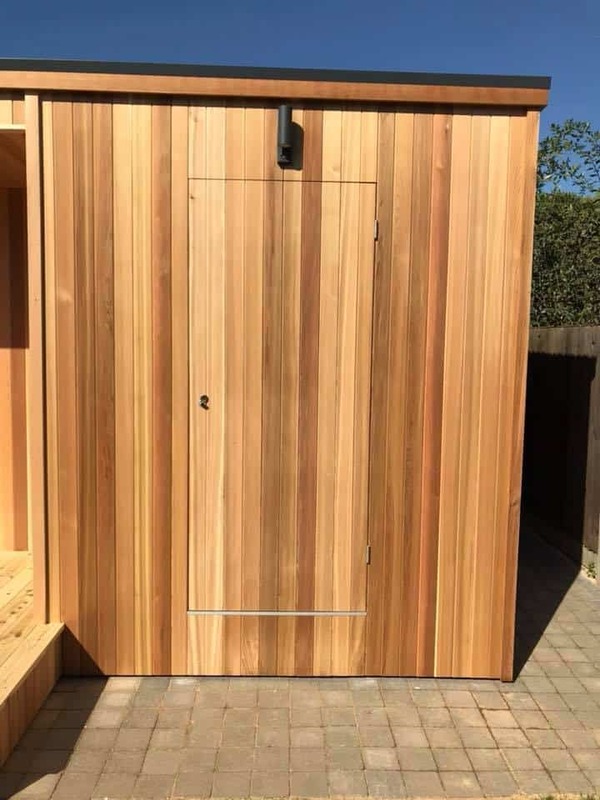 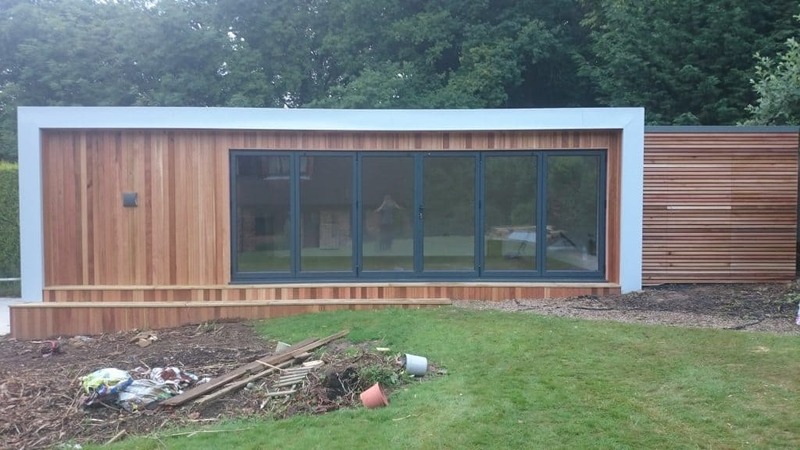 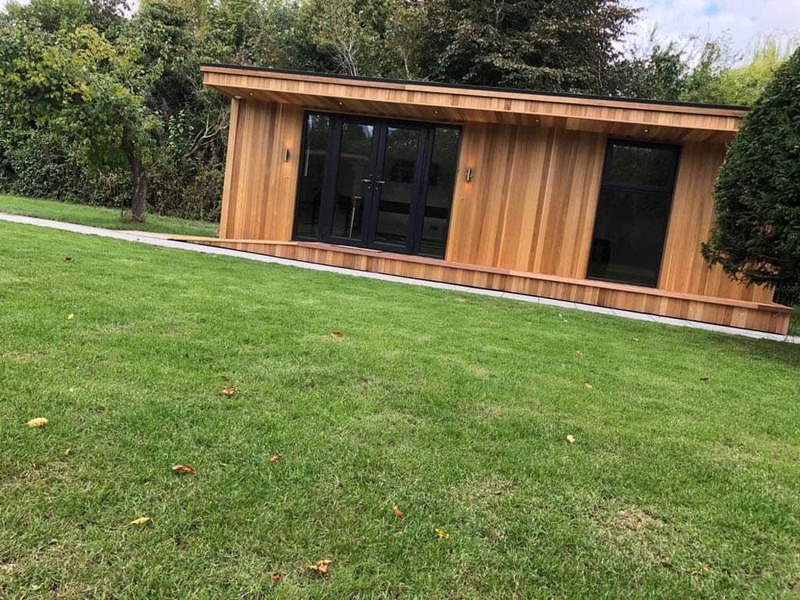 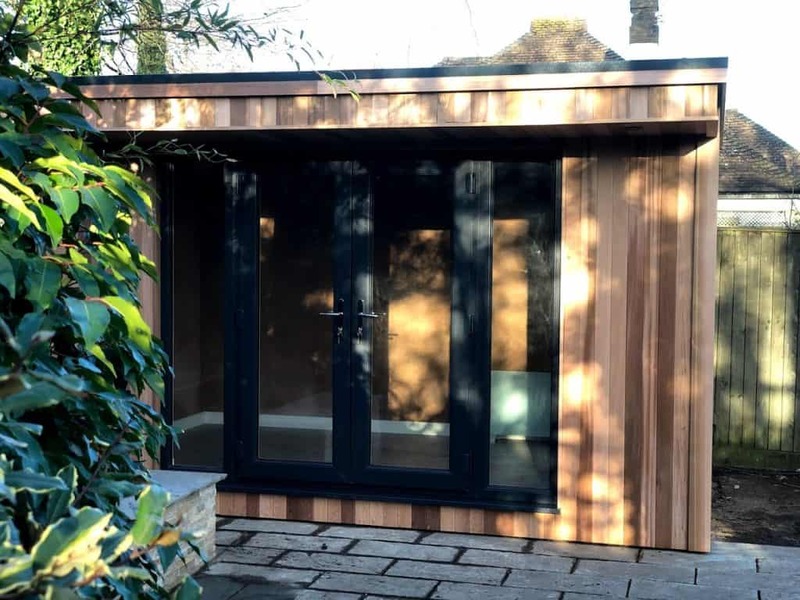 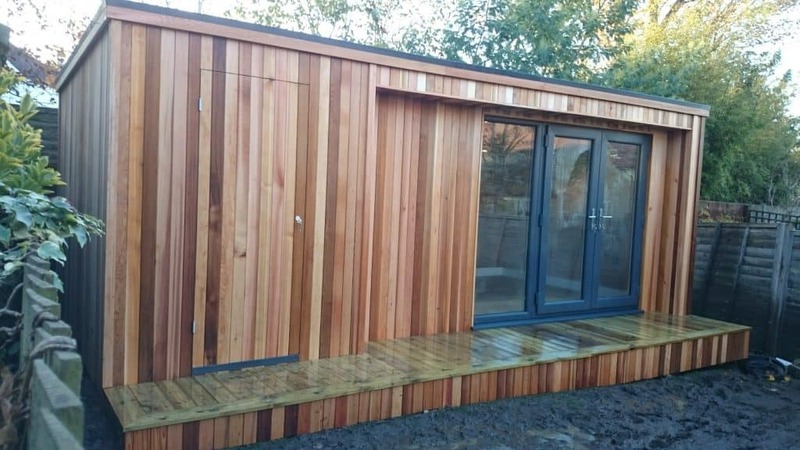 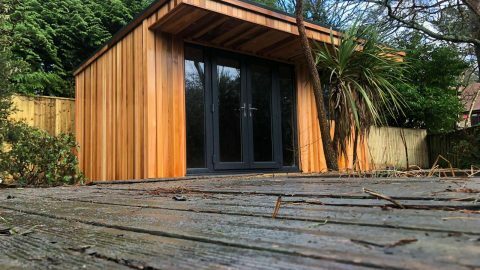 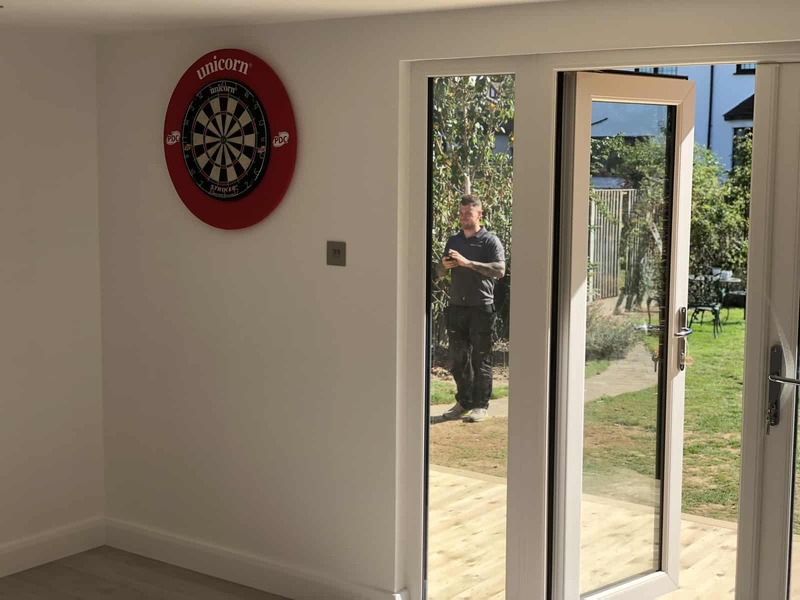 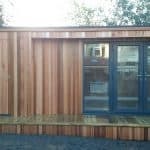 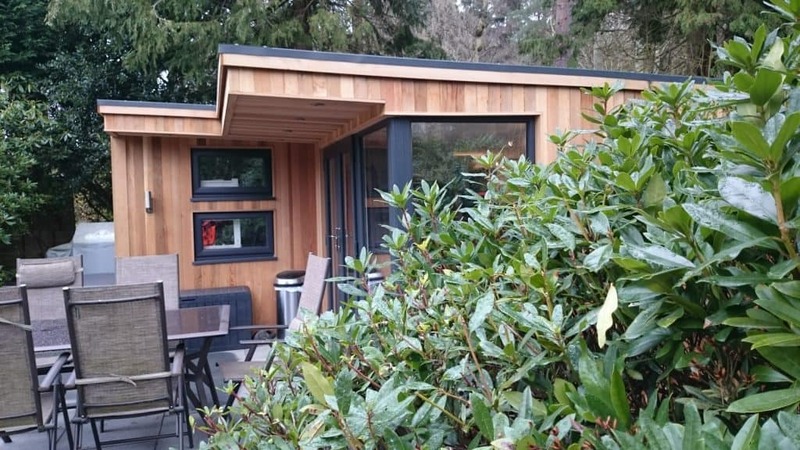 This garden room therefore needed to be large enough to have a games room, however it also needed an integrated shed accessible from the outside, and a small room for a toilet which could be installed at a later date. 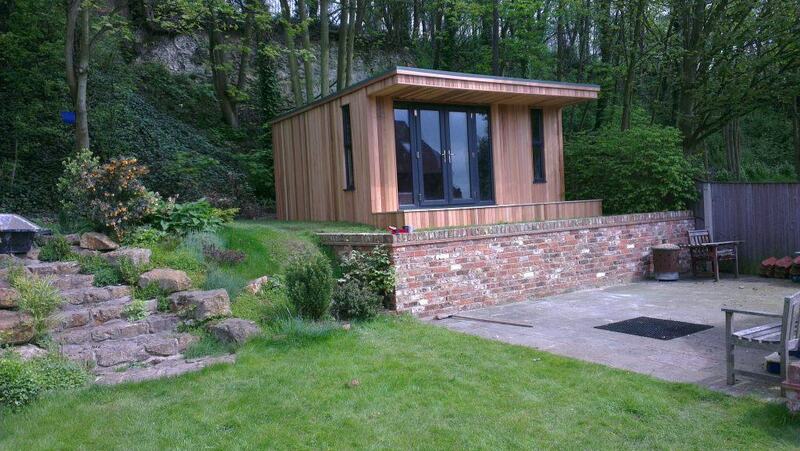 With such a large garden we put together several designs from our range of garden rooms. 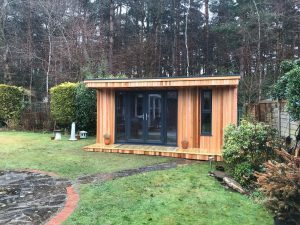 As a result, our solution was to create a large garden room in our concave style. 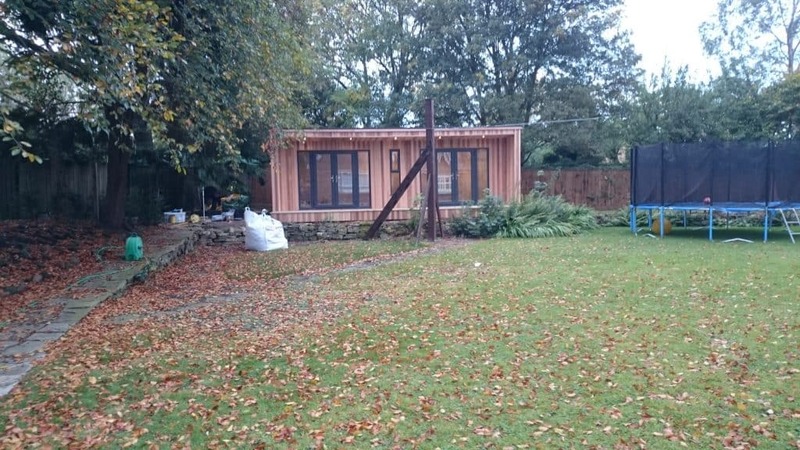 Firstly, bringing the shed/storage section right to the front of the building – this maximised the area for storage. 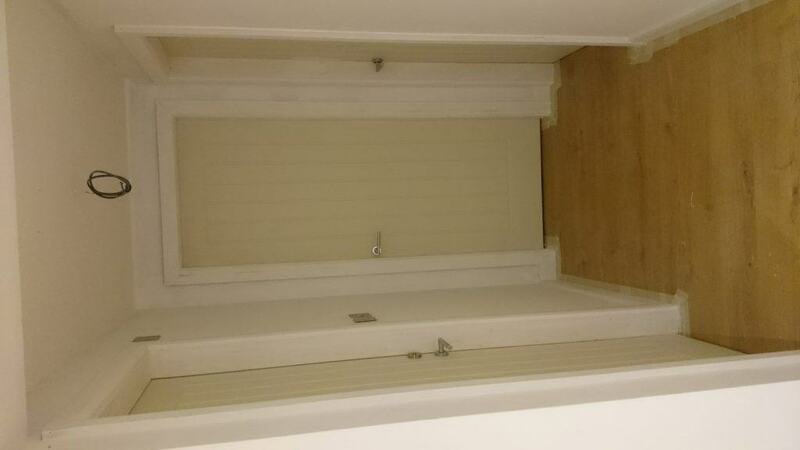 Secondly, gave important space for the toilet room to be positioned at the rear, accessed via a modern style doorset. 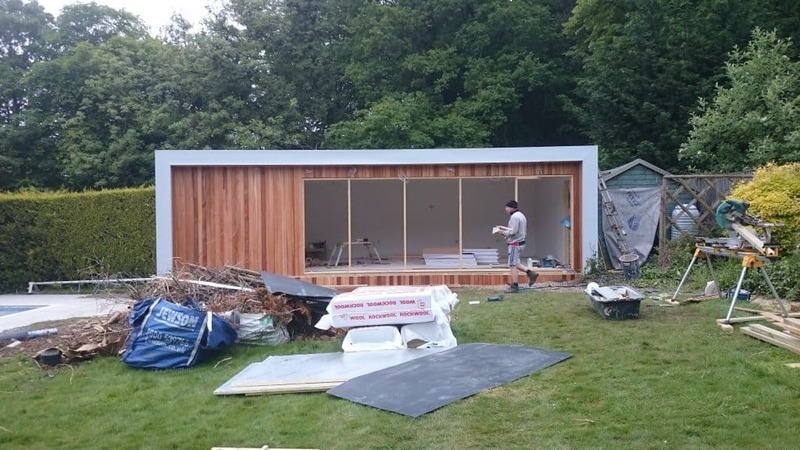 Thirdly, this gave Paul the perfect balance of games room/shed/toilet.